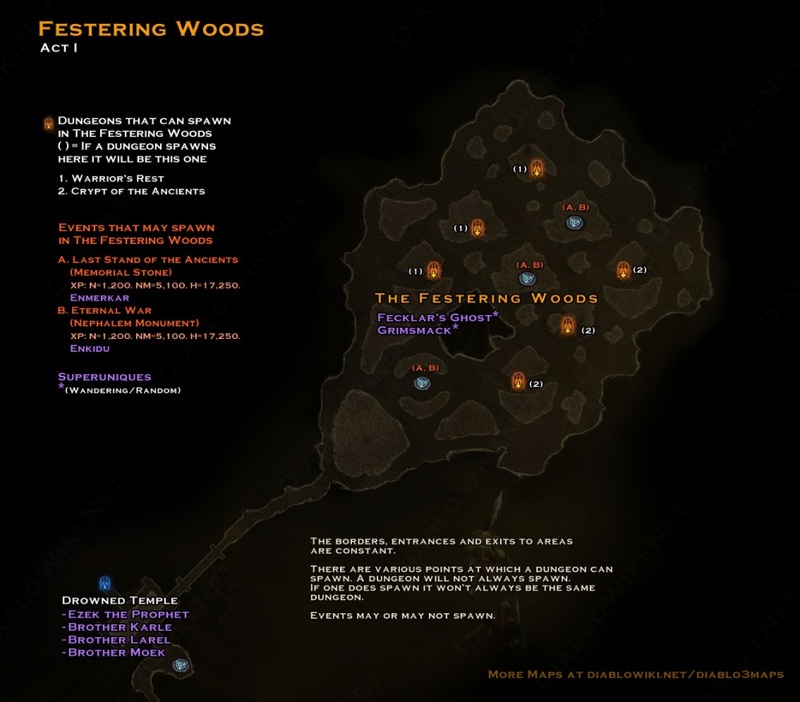 The Festering Woods area has only two dungeons, both linked with The Broken Blade quest. The perimeter remains the same but the two dungeons, possible events and waypoint can appear at various points. This page was last edited on 9 January 2013, at 19:28.